With its two 24" rollers, the WOLVERINE RUG DUSTER, holds rugs flat while it effectively removes dust. This proprietary design has a huge advantage over wheels because the rollers hold and secure the ends. 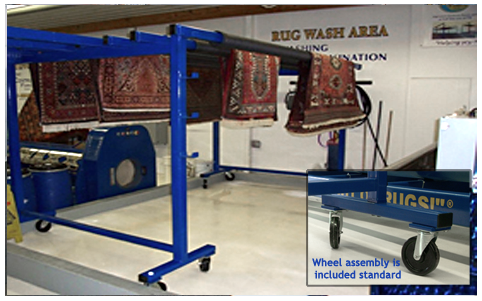 Unlike other machines on the market, there is no chance of tangling the fringe when used properly. 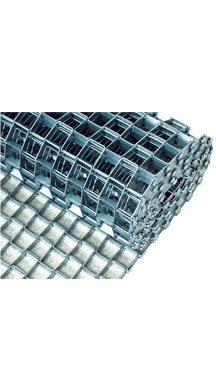 Clean rugs effectively with this 6' x 9' (1.8 x 2.7m) heavy duty steel grid. Rolls up for easy storage.